Emerald is the vibrant green gemstone variety of the mineral beryl. This incandescent gemstone has been a favorite throughout history. It is highly regarded for its incredible color and unique internal characteristics. The beryl mineral family holds several other notable gemstones including the seawater blue aquamarine and delicate blush hued morganite. However, emerald is usually the most well known member of the beryl family. It was been prized and collected by royalty and celebrity alike for thousands of years. 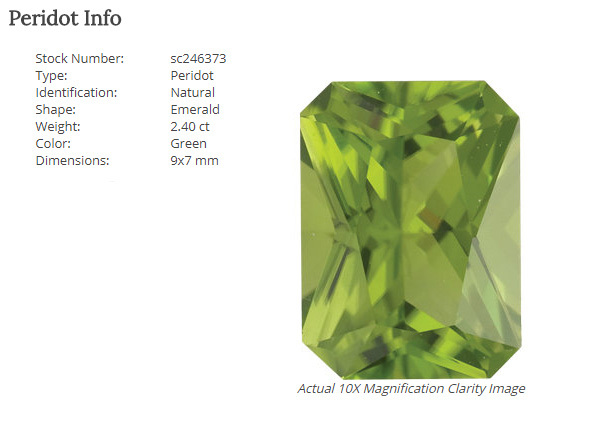 There are of course are other green hued gemstones, like peridot or tourmaline, but emerald is always the standard which all other greens are compared to. Emerald receives its intense color from traces of chromium and some times vanadium in its mineral structure. This gemstone can be found worldwide, but the largest producer of emeralds today is Columbia. In antiquity, emeralds were mined in Egypt, India and Austria since the 14th century. Its intense green color emulates new growth and spring time. Meaning it is the perfect companion birthstone to the month of May, when flowers begin to bud. 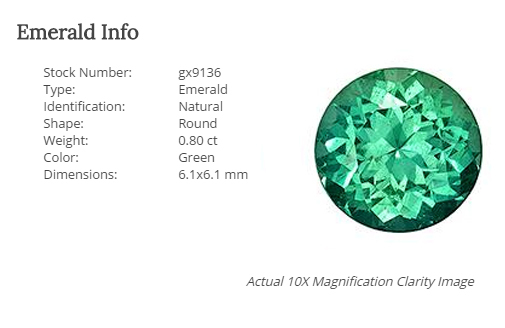 Emerald, and all other beryl gemstones, are not as durable as sapphire or diamond, so if you choose to set an emerald into one of our custom ring settings, it would need to be worn with care and might not be suitable for everyday jewelry. 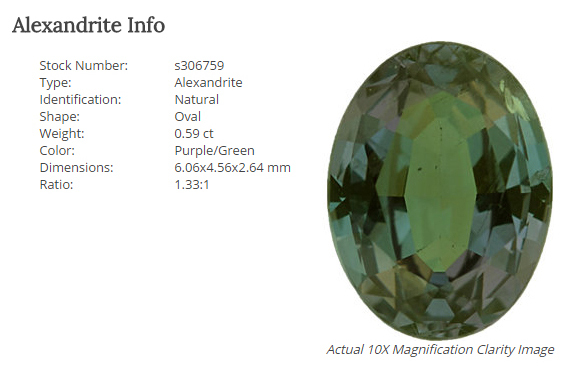 However, this glowing-green gemstone shown here could make a stunning right hand ring. This round cut green emerald is currently featured on our online gemstone list, and it is just waiting to be made into a custom created masterpiece! Let us at Knox Jewelers help you design a custom created piece of jewelry holding this rare and beautiful emerald featured here or any other available option on our gemstone list! According to GIA, only one in every 10,000 diamonds mined will have a fancy color. At Knox Jewelers, we have created several beautiful custom rings displaying extraordinary colored diamonds, and everyone was a singular work of art. There is something almost magical about diamonds displaying an usual body color. While fancy color diamonds have traditionally been a less desirable than their colorless counterparts, their popularity and availability has grown dramatically in the past several years. A large number of Knox patrons have recently selected colored stones and colored diamond to feature in their custom creations in place of colorless diamond. 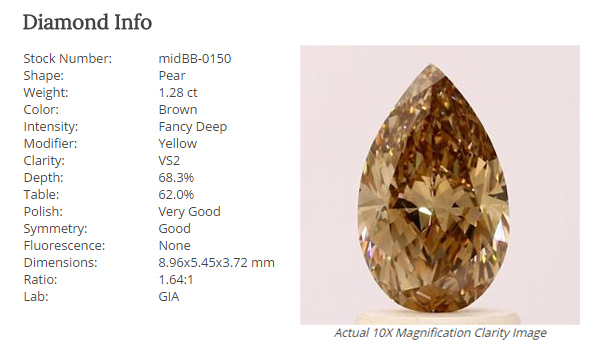 This fancy deep brown pear cut diamond is currently featured on our online fancy colored diamond list, and is waiting to be made into a custom created masterpiece! Fancy colored diamonds are rare and can be found in nearly every hue, with some colors being more common than others. Brown and yellow hues occur more often than the scarcely seen blues, greens, pinks, oranges, purples and reds. 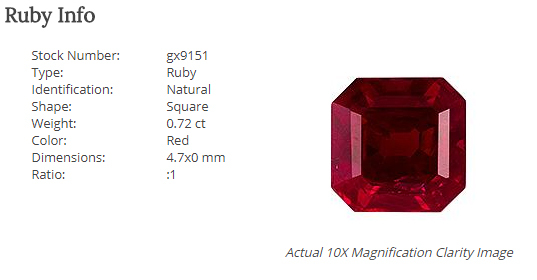 These diamonds will have a body color extending beyond the normal D-to-Z diamond color grading scale. They are graded on special scale, with their value increasing with the intensity and saturation of their color. Let us at Knox Jewelers help you design a custom created piece of jewelry holding the extraordinary pear cut brown diamond featured here or any other available option on our fancy colored diamond list!